A view across the sea from near Bholsa in the north of Islay to Oronsay. 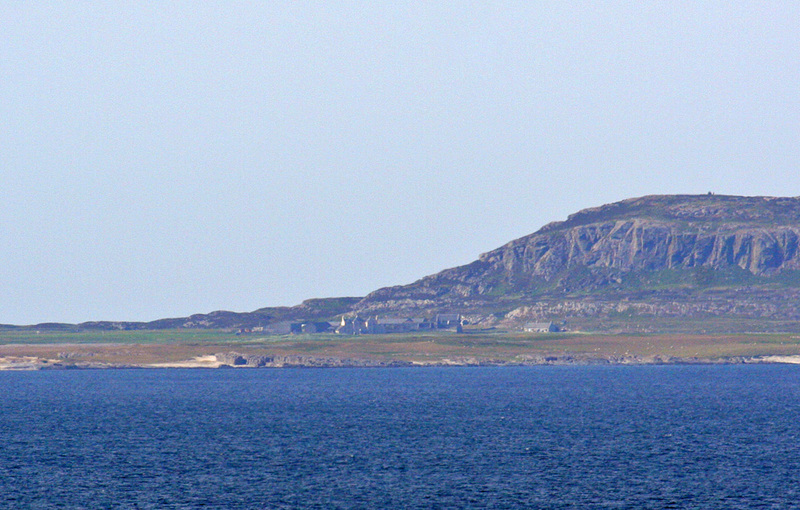 Below the crags you can see Oronsay Priory and Oronsay Farm, the only settlement on Colonsay’s smaller neighbour. This entry was posted in Colonsay Excursion, Landscape, Repost, Sunny Weather and tagged Colonsay, Oronsay, Oronsay Priory by Armin Grewe. Bookmark the permalink. Thought just occurred to me: picture might be courtesy of my sister Imke Grewe, will have to take a look later.